CNN Digital once again outpaced all competitors and remained the leader in digital news in July 2018, with an audience larger than any other outlet in multiplatform visitors, mobile visitors, video starts, millennial reach and social following. CNN also ranked as the #1 global news brand, outpacing BBC, The New York Times, BuzzFeed and others in desktop and mobile audience size across the US and 24 key international markets. July 2018 also marked the 26th month – more than two straight years – of CNN ranking #1 in multiplatform unique visitors, video and social according to comScore. For more than two years at #1 in the category, CNN Digital had a wider reach than any other news source in July 2018 with 115 million unique visitors domestically. CNN outranked Fox News by 25 million unique visitors and New York Times by 36 million unique visitors across platforms. Source: comScore Multi-Platform Media Metrix, July 2018. Based on CNN Brand entity compared to a custom list of single brand competitors in the News/Information Category. 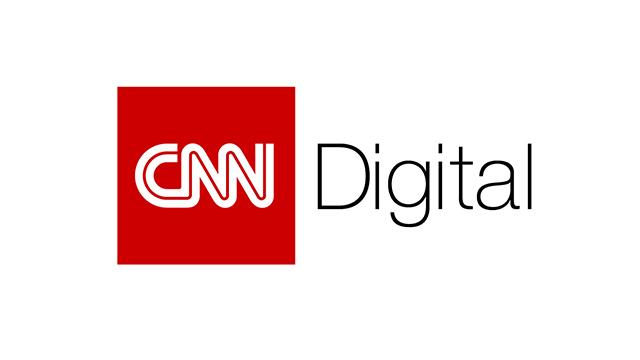 For the 38th consecutive month, CNN topped all competitors in digital video starts in July. With 275 million desktop video starts, CNN more than doubled Fox News. CNN’s mobile reach surpassed every other news provider in July with 95 million mobile unique visitors – 24 million more mobile users than second-place Fox News and 30 million more than third-place New York Times. Source: comScore Mobile Metrix, July 2018. Based on CNN Brand entity compared to a custom list of single brand competitors in the News/Information Category. CNN ranked as the #1 global news brand, outpacing BBC, The New York Times, BuzzFeed and others in desktop and mobile audience size across the US and 24 key international markets. CNBC, Bloomberg, Al Jazeera, Euronews, Sky News, and other international news brands trail CNN by more than 100 million multiplatform unique visitors and fall outside of the top 5 ranking. Source: comScore Multi-Platform Media Metrix Worldwide Rollup, June 2018. Based on CNN Brand entity compared to a custom list of single brand, multinational competitors in the News/Information Category, including The United States, Canada, Argentina, Australia, Brazil, Chile, China, Colombia, Finland, France, Germany, Hong Kong, India, Indonesia, Ireland, Italy, Japan, Malaysia, Mexico, Norway, Singapore, Spain, Taiwan, United Kingdom and Vietnam. CNN continued its streak as the #1 news outlet for multiplatform visitors between the ages of 18-34. Source: comScore Multiplatform Media Metrix, July 2018. Based on CNN Brand entity compared to a custom list of single brand competitors in the News/Information Category; Persons: 18-34. Source: comScore Multi-Platform Media Metrix, July 2018; Based on News/Information – Politics Category. CNN Politics has been #1 in the competitive rank in video and multiplatform views since March of 2015. CNN has ranked as the number one social news outlet in the US for more than four years, with more fans and followers than any other competitor.